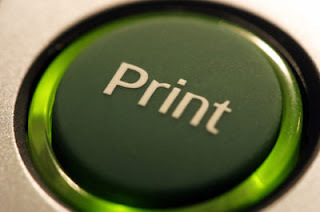 How to Print and Be Eco-Friendly at the Same Time | TonerGreen - Eco-Friendly Toners from the U.S.
Printing is an inevitable part of our everyday life, from printing important documents to printing images and pictures for our albums. 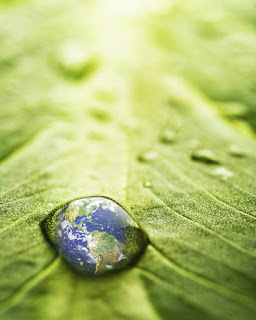 However, there are times that we forgot the fact that using printers can emit greenhouse gases as well and cause small impacts on our environment no matter how unnoticed it may appear to be. Good thing, there are ways on how you can practice eco-friendly printing. If you want to start printing in an eco-friendly way, start using eco-friendly printer. If you're just planning to buy a printing device then I definitely suggest you should considered its eco-friendly highlights and features like auto-duplex printing, auto-on/auto-off mode and toner saving mode. To make your shopping easier, you can just look for an Energy-Star qualified logo in the printer. This will indicate that the printer had passed Energy-Star qualifications as an eco-friendly product. And always remember when printing that you should just choose the important files. If some documents can be send over the e-mail instead of printing then resort to that instead. Telecommuting is so easy these days especially with the availability of wireless connectivity, cloud technology and the power of the internet. Another way to be eco-friendly is through using recycled papers and remanufactured/recycled eco-friendly toenr cartridges/ink cartridges. Using recycled paper can both decrease these statistics. You can always find good-quality recycled paper out there in the market or eco-friendly paper made out of organic fruit peeling. While for your printer consumables, OEM companies and third-party companies like TonerGreen, offer recycled toner cartridges and recycled ink cartridges that are highly compatible to your printers. These are used OEM cartridges that are cleaned, refurbished and re-filled with high-quality toner to produce the same printing output and performance as brand-new cartridges do. And lastly, be wise in choosing your font styles. There are font styles that save ink like Century Gothic, Times New Roman, Calibri, Verdana, Arial, Sans Serif, Trebuchet and Tahoma. These following fonts are proven through a study made by Printer.com to save ink when used in documents.